What Alerts are available on your Pipe? Pipefy offers multiple ways to track cards that are Late, Expired or Overdue - all to optimally control your processes. Learn more here! Expired alert - Also shown directly on the Card (as a red stripe on the upper right corner) when the card exceeds the maximum lead time for the entire Pipe. You’ll be able to visualize how many Cards are late/expired on a Phase by the yellow/red rectangles shown right next to the Phase’s name, with the number of cards with the alert on each Phase. 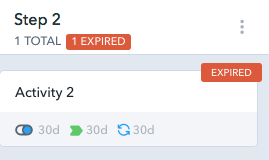 What is an Expired Alert? 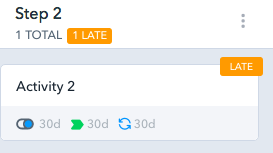 How to setup an Expired Alert?